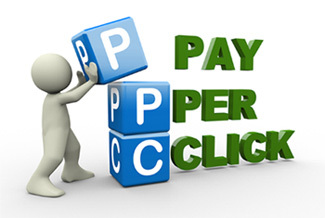 Pay per click advertising is one of the prime strategies employed as part of an Internet marketing campaign. It may be described as an Internet advertising model used to direct traffic to websites, in which advertisers pay the publisher (typically a website owner) when the ad is clicked. It can therefore be defined simply as “the amount spent to get an advertisement clicked.” In the case of search engines, advertisers will typically bid on keyword phrases relevant to their target market. At Dark Sea Web Design, we will liaise with you or your company in order to have the correct structure in place for the best possible ROI. We can set up, write, administer and monitor your ppc strategies and prepare reports that will allow you to assess the effectiveness of your campaigns and ppc budgets. We can work on the account optimisation on a regular basis and report back to you regularly with a performance summary. If you are wanting to set up a completely new account or perhaps need management for an existing account our PPC management expert will make sure that your account is set up for the best possible ROI. If you already have an existing pay per click account then we can help by reviewing the historical data relating to traffic and general performance and then, based on this information, we can structure your new campaign based on your products or services. Along with our review of your historical data, we can perform a detailed study by which we can gain insights into your particular area of business. This will then allow us to adopt a keyword strategy focusing on promoting and driving quality traffic to your website. In the course of this we can pinpoint and target more specific search terms and keywords and eliminate keywords or phrases which might be costly and ineffective. In so doing we will be able to lower your click costs and yet raise the level and quality of your traffic.